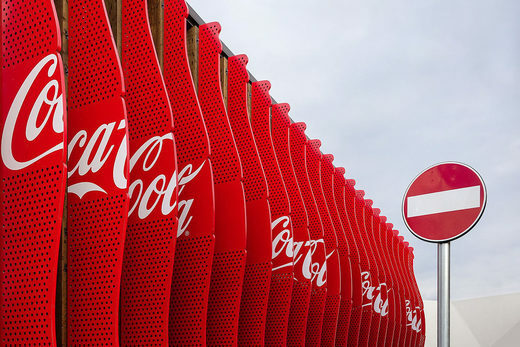 It was revealed back in 2015 that Coca Cola invested at least $4 million in founding the ‘Global Energy Balance Network’ (GEBN), a non-profit organization run by university scientists engaged in obesity research projects. The group said that halting weight gain should be less about dieting and more about “maintaining an active lifestyle and eating more calories“. They claimed that there was no compelling evidence to suggest that people should blame fast food and sugary drinks for the obesity epidemic. GEBN’s message was that “obesity is not about the foods or beverages you’re consuming, it’s that you’re not balancing those foods with exercise“. Their main claim was that there was “strong evidence” that lack of exercise is mostly to blame for obesity, not poor diet. GEBN’s website and social media pages are no longer available after their industry-sponsorship came to public awareness. Top scientists also received cash from Coca-Cola, some of whom advise government bodies. In addition to funding prominent British scientists, Coca-Cola also paid £4.8 million to the European Hydration Institute, a research foundation which recommended people to consume sport and soft drinks of the kind the company sells. Dr. Barbara Bowman, a veteran leader within the Centers for Disease Control’s division for Heart Disease and Stroke Prevention, stepped down from her position in 2016 after it was revealed that she was assisting Coca-Cola and International Life Sciences Institute (ILSI) in influencing world health authorities on issues related to sugar and beverage policy. Several of Bowman’s emails showed how she provided guidance to Alex Malaspina, former top Coca-Cola executive and strategist. Malaspina, along with Coca Cola, helped found ILSI. The emails, obtained by a Freedom of Information Act, revealed that Bowman was eager to help Malaspina develop political influence with the World Health Organizations. That same year, a study, conducted by researchers at Boston University (BU) and published in the American Journal of Preventative Medicine, found that the Coca-Cola Company and PepsiCo sponsored a combined total of at least 96 health organizations between 2011 and 2015. The American Diabetes Association and the Juvenile Diabetes Research Foundation were on the list, a finding which the authors called “surprising, given the established link between diabetes and soda consumption.” The study recommended that health organizations reject sponsorship from soda companies, urging alternative sources of funding. That fell on deaf ears, as we are about to see. In a similar vein to the GEBN nonprofit organization’s claim that “it’s the lack of exercise, not the sugary sodas“, a major study titled ‘The International Study of Childhood Obesity, Lifestyle and the Environment (ISCOLE)’ was conducted between 2010 and 2014. Its primary objective was to determine relationships between lifestyle behaviors and obesity. The population studied included 6,000 10-year old children from 12 countries in Europe, Africa, the Americas, South-East Asia, and the Western Pacific. The children answered questions about their lifestyle, diet and physical activity. Parents and school administrators were also questioned. There were also several other factors monitored. Geographic distribution of the International Study of Childhood Obesity, lifestyle and the environment (ISCOLE) sites. Chaput JP, Leduc G, Boyer C, Bélanger P, LeBlanc AG, Borghese MM, Tremblay MS. ‘Electronic screens in children’s bedrooms and adiposity, physical activity and sleep: do the number and type of electronic devices matter?’ Can J Public Health. 2014 Jul 11;105(4):e273-9. Roman-Viñas B, Chaput JP, Katzmarzyk PT, Fogelholm M, Lambert EV, Maher C, Maia J, Olds T, Onywera V, Sarmiento OL, Standage M, Tudor-Locke C, Tremblay MS; ISCOLE Research Group. ‘Proportion of children meeting recommendations for 24-hour movement guidelines and associations with adiposity in a 12-country study’. Int J Behav Nutr Phys Act. 2016 Nov 25;13(1):123. ISCOLE is funded by The Coca-Cola Company. The funder had no role in study design, data collection and analysis, decision to publish, or preparation of the manuscript. The emails suggest that the researchers did consult and include Coca-Cola representatives in making strategic decisions about study design. In the early stages of planning the study, for example, the parties debated which and how many countries are to be included. “Ok-so with Russia and Finland we are at 13? Or no Finland and at 12. Seriously-our CEO hates the #13″…. She continued, “Serious about this 13 business. We have no FL [floor?] 13 at Coke”. Katzmarzyk to Applebaum, “We can work out a more detailed budget if this is something you would want to pursue”. Katzmarzyk and the Coca Cola Chief sound like they’re pretty involved in making decisions. He sounds like an obedient servant too. If someone gives you millions of dollars to do something, you better do your job well! Not surprisingly, it has already been found that studies financed by the food industry have an odds ratio of 7.61 greater probability of showing favorable results to the relevant food industry products than those studies which received no funding from the industry. In regards to Coca-Cola’s favorite theory of “it is the lack of exercise, not the sugary drinks“, let’s hear it from Gary Taubes who exhaustively covered this myth in his book Why We Get Fat. He shows that there has been an “exercise explosion” at least since the 1970s. People are going to the gym more than ever and some are even dying running marathons. It is argued that British children in the past did not do more physical activity than those from the 21st century, yet they were was far less obesity then than now. As Prof Simon Capewell, from the University of Liverpool, says, “Putting the food industry in food policy is like putting Dracula in charge of the blood bank.” He is right and Coca-Cola funding top scientists to conduct these studies is like a scene out of the movie Idiocracy. Not Aging Fast Enough? Drink a Soda! A can of soda a day can increase the risk of cancer for men by 40 percent?